When using an electrical appliance, basic precautions should always be followed including the points listed in the instruction guide. Read all instructions and safeguards before using. Read all instructions and safeguards in the instruction guide before using. 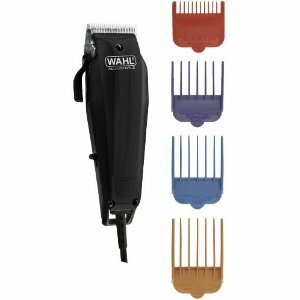 Always start with the largests guide comb then use shorter combs if shorter length is desired. Cut only a small amount until you become acustomed to the combs. Cut slowly and smoothly. Do not force the clipper through the hair.